Seoul, South Korea, is one of the world’s ideal cities for digital nomads. 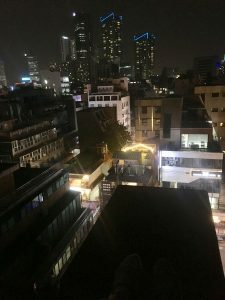 I’ve spent nearly three months traveling around, running my mobile business across South Korea, mostly spent in Seoul. For you, I’ve compiled the Ultimate Seoul Digital Nomad Guide. 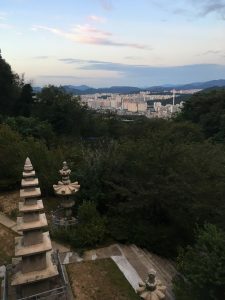 As my trip evolved, I made it a point to visit and stay in as many different areas of Seoul as possible. I will keep adding to this over my final few weeks here, but if you’re planning on visiting soon, this should be an excellent head start. Most of the feedback I receive about being in Korea is that people are sincerely concerned for my well-being. True, there is a lot of hot air about their nuclear-capable neighbours to the North. A lack of formal peace treaty has the two countries technically at war for over 60 years. In reality, South Koreans are neither worried, nor discuss, the long-standing war of words that emanates from the North. It is a non-issue. This is one of the safest places on the planet, where you will not see a crime, or feel in danger. This aside, let’s explore Korea’s vibrant capital, Seoul, in more detail. The fastest wifi in the world. And it’s nearly literally everywhere. Reasonable cost of living. 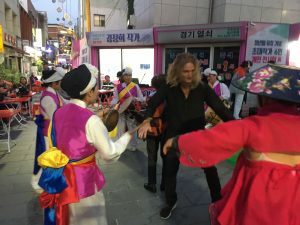 I survived and thrived in Seoul on around $200-250 a week. Superb transportation. One of the best Metro and bus systems in the world. Countless places to work from. A craze in coffee culture has resulted in more cafes than you can count. They all have wifi, and let you sit and work for hours on a solitary coffee and/or bakery purchase. Many are 24/7. An abundance of delicious food, for all budgets. You can splurge on seafood and certain upmarket places, but there are values abound for everything from Korean BBQ to pizza. And, side dishes are generally all-you-can-eat. While the language barrier requires initial patience, Koreans are incredibly helpful and kind people, and you find a way. 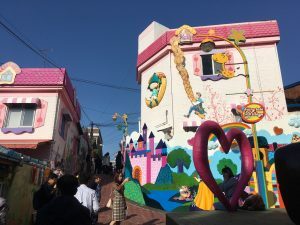 Seoul is a huge city that you can enjoy in style, or dig a little deeper for the budget traveler. In short, I lived on a low budget for less than AUD$250 a week / $1000 a month (roughly USD$700). While there were many times I wanted to splurge on meals and desserts, I had to stay realistic. I often treated my broke student friend to meals and accommodation. Seoul scores well in the nomadlist.com lifestyle and cost of living comparisons of cities for digital nomads. While it’s not the cheapest place to live and work from, it’s possible to live affordably. If you stay in a W10,000 a night dorm and eat budget food, you can spend W150,000 a week or less – $120-150 per week. South Korea’s Internet speeds rate as the fastest in the world. This is readily apparent with the abundance of different, free wifi networks you can connect to on street corners, at Metro stations and trains, most restaurants & cafes, and even on some buses. Everything in Korea is cute. Here is a coffee and donut at Paris Baguette. While they’re all sort of the same, I like the Holly’s vibe, and Marley Coffee in Itaewon is great to work from. For baked goods, Paris Baguette is awesome, and Tous Les Jours is similar. Angel-In-Us has some tasty drinks. Starbucks is expensive. If you want cafes, you won’t need to worry about finding any. You simply cannot walk more than a few blocks without finding a wifi-enabled coffee shop in Seoul. Usually next to each other. Sometimes one on top of another, in the same building. Beer, wine and soju bars sell coffee. Chicken places sell coffee. South Koreans are crazy for their coffee, and are happy to regularly shell out W5-7K per latte. It’s where people meet up, it’s the place to study. One never gets harassed for working at a cafe too long. The only time you’ll hear from staff management is closing time – when they want to go home! Yes, coffee is expensive, and maybe not at the quality of Melbourne-level espresso. But, it’s generally very good. Many weekday evenings in Seoul I’ve spent hours in a cafe, enjoying coffee, headphones on to enjoy my music. Working, writing, dreaming. I’ve randomly met a few interesting people as well. 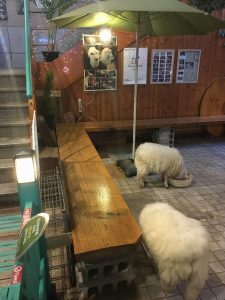 Thanks Nature Cafe, Hongdae – Pet two very happy sheep! 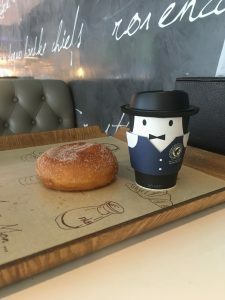 COFFEE LAB Express, Hongdae – Situated in lively Hongdae (Hongik University), Coffee Lab deservedly earns its pristine reviews. Specialty coffee and its “mad scientist” blend, plus the first soy flat white I’ve enjoyed since Melbourne, in a chilled out, work-friendly atmosphere. The gift of a bonus second coffee was awesome! This is the best coffee I’ve found in Korea. Cafe Contigo, Bangbaebon. Study-friendly, classy coffee shop. Free Americano refills at W1,000. Rolling Pin, Bangbaebon. Cafe and bakery, with some of the most delicious baked goods in the city. This seems to be a very female friendly hotspot for casual meetings. Also with free refills at W1,000. Hellas Coffee, Downtown Seoul. I chose this place as I haven’t seen it before. I am enjoying a Black Bean Latte at the time of this sentence. Black bean looks like chocolate and is sweet; you’ll find it in many desserts here. CREA Creative Lounge (Dondaemun DDP). I published this article from here. The coffee is top notch, and surprising affordable (W4,000 for a latte). Wifi is decent, and it’s a cool, clean, creative vibe. Great, chill electronic beats. 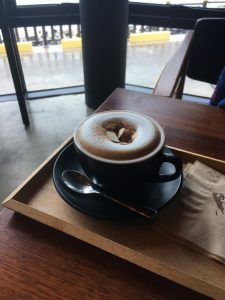 Tailors Coffee, Hongdae – This is an excellent coffeeshop, with a super cappuccino. Smaller portions but high end taste. All have fast wifi, and they let you work for many hours without saying a word. There are dog cafes, cat cafes, even a cafe where you can pet sheep! I will continually update this section during my final few weeks in Seoul. As a budget traveler, I can’t justify spending excessive, extra amounts on a place to work from with wifi, coffee and professional vibe. I find many cafes and lounges do just fine for me. That said, I know co-working important to a lot of you, and I will do my best to improve our scope. CREA – Creative Lounge. In the breathtaking Dongdaemun Design Plaza. An adjacent cafe with supreme coffee. Daily passes run W15,000 on weekdays, W18,000 on weekends. You have to chat with them about longer memberships. This is a high end, design-minded center in Seoul, and freelancers related to creativity would appreciate it here. There are countless desks available for rent in various buildings and offices, under various names. There are also numerous public libraries where you can use wifi and Internet-enabled computers for free – just ask the librarian for a membership. Seoul is a megacity, home to nearly 10 million people, and is predictably vastly spread out. In nearly 3 months in the South Korean capital, I sought to see as much of the city as possible. This involved staying in dozens of guesthouses and different neighbourhoods. I did this for you! Here are some of the suburbs I spent at least a little bit of time in. Gangnam – South of the river, Gangnam is one ab international area, featuring big roads with massive commercial and shopping centres. There is no shortage of restaurants or bars, with prices seemingly more reasonable than Itaewon. The home of Gangnam Style. 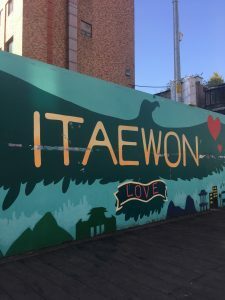 Itaewon – The international centre and nightlife hub. A little too Western for me after enjoying Korean life. English is conveniently spoken, foreigners everywhere. It’s expensive. I like the convergence of cultures from around the world, particularly the African and Middle Eastern influences. A plethora of excellent bars and restaurants. 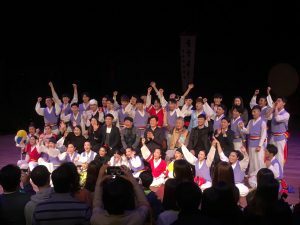 But, to truly experience Korean culture, you will spend most of your time away from Itaewon. 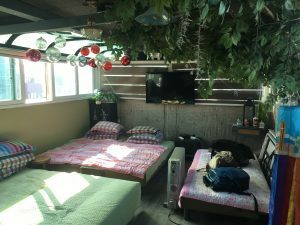 Hongdae / Mapo – This is the gem of Seoul. It’s a university area, which makes for high energy, stimulating art, non-stop live street K-POP, and heaps of cheap food and shopping. There are many good bars, restaurants and cafes, and enough English to get by if that’s essential to you. Two places of note: Dustin’s Guesthouse (in the centre of the action), and Kim’s Family Guesthouse (a quieter place, with the comfiest bunk beds in Seoul). Each will run you between W10-15K a night for bunks, more on weekends. They offer double rooms if you like the hostel vibe and somewhere you can work from. Recommended. 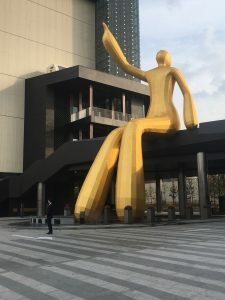 Dongdaemun – Best known for the intriguing, massive “space ship” cultural center and design plaza (DDP), this is a lively area, complete with markets and shopping. At our YaKorea Guesthouse a 20 minute walk away, we seemed to be in a largely locals-0riented neighbourhood: meaning cheaper prices. Some of the trippiest buildings and lights in Seoul. Seoul Downtown / City Hall – There are a lot of corporate types, around a main road with the regular brands and chains. There is a little less vibe here. I stayed at Kimchee Downtown Guesthouse, it’s okay. 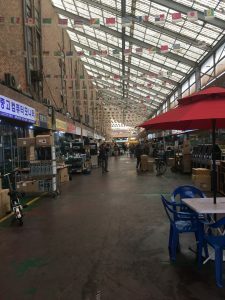 Jangan-dong – My first neighbourhood, due to a spectacular deal on a superbly modern and comfortable hotel – Hotel9 in Dongdamun (Janghan-ro 24 – note that Google address is incorrect, and it’s not that close to actual Dongdaemun). It is a little farther from the city than desired for my purposes, but was a fun, lively area, with many restaurants, coffee shops, bars and vast shopping arcades. Uijeongbu – North of central Seoul, a night’s stay here due to the unexpected prohibition of camping in adjacent Bukhansan National Park. Booking.com found us a good deal on a Las Vegas-style motel. And what a surprisingly fun area! As night fell, the streets were packed with revelers, with bright, flashing lights from the many bars, restaurants and karaoke clubs. Heuksok – University area south of the Seoul River. Thanks to the university vibe, there are many inexpensive restaurants, cafes and bars. However, there don’t appear to be many guesthouses or hotels to stay there. Go for the cheap food! 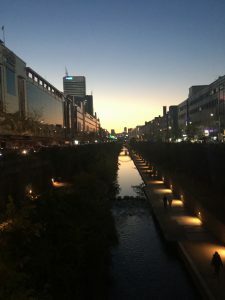 Bangbae – South of the Seoul River, a quieter area, but still full of decent restaurants, coffee shops, and bars. We found a deal for the low rated MiniResidence. It is the smallest room you’ll ever sleep in, with a single bed and small desk comprising 2/3 of the space. No window. It is what it is – budget accommodation. Lots of mosquitoes and not the friendliest vibe, but we still had a good time in the area for 4 nights. I can’t recommend staying at MiniResidence or it’s sister 2Residence in Song-pa.
Myeong-Dong – The cosmetics and make-up capital of Asia. We stayed in a private, apartment-styled room in a quiet area. The highlight is the proximity to Hanok Village and the intriguing Seoul Time Capsule, celebrating 600 years of Seoul, to be opened in 400 more. Incheon is a whole city unto itself, part of the greater Seoul area, near the water. It’s close to Bucheon and Ansan, in the south western part of Seoul. We stayed at three completely separate areas of Incheon, all near markets and public transportation. Cheaper, quality accommodation, and very affordable food at restaurants and markets. Lots of free tasters. Best prices on clothes. Check out Fairy Tale Village, particularly on a romantic or family excursion, and the adjacent Chinatown. One treat was staying at the 3-4 star Hotel Charis, a legit hotel. This was a free upgrade due to a cancellation, and a wonderful experience. The breakfast buffet was mouth-watering and kept us full for most of the day. Regular price: W130,000 a night. We paid W30,000. 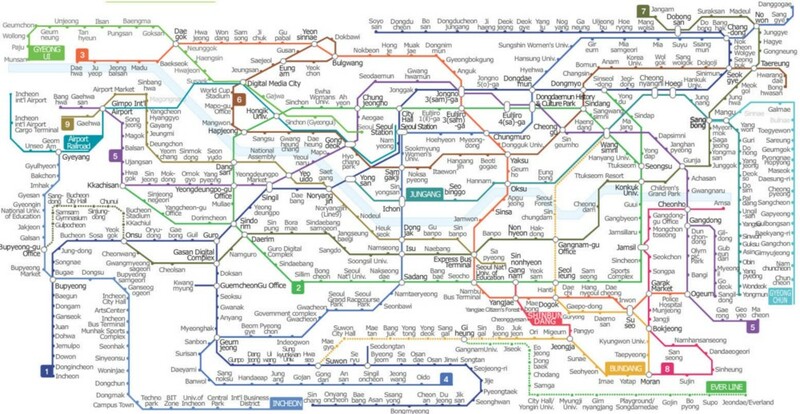 Seoul features one of the most efficient and progressive public transportation systems on the planet. Numerous metro train lines and buses converge across the city, with station exits conveniently numbered to show closest access to specific roads and bus stops. Fare is handled automatically using a T-Money card, that you can buy and top up at most convenience stores. T-Money can be used all across the country, in addition to some vending machines and in certain shops for purchases. It is the most convenient money card I’ve come across in a country. W1250 is deducted on each trip, adjusted for distance in square kilometres. Some buses in Incheon take off W900 at first, and there is some discrepancy between two completely similar trips. There is a section of Seoul referred to as “Electronics City”. It spans multiple city blocks of large buildings, each dedicated to technology. Phones, laptops, computers, sound gear, video cameras, switches and circuitry. Everything you can think of, is at Yongsan Electronics Market. Prices are excellent. If you find a good price somewhere, keep looking for better deals. There are hundreds of shops. You can also ask for a better price. My laptop keyboard lost functionality in certain keys, slowing me down. A writer and programmer needs a good, working keyboard. So, I visited Yongsan Electronics Market for a replacement, and quickly found many options. Some quick research online saw that one of the shops was offering a great deal on a Logitech bluetooth keyboard. Other stores in the building that stocked the same keyboard were charging $10-20 more. I returned to the original shop, and asked to test it out first. After some struggles that baffled us all, I solved it. They were impressed, and offered me another W4,000 off! On the walk back I passed many other shops, and I will return to load up on portable, budget video equipment. You may be surprised to learn that Google is far from reliable in South Korea. It serves some purpose for looking up general things, or public transportation suggestions, but you won’t find walking or driving directions in Google Maps. There are numerous places that don’t show results in searches. Translations between Korean and English are regularly inaccurate. Instead, try KakaoMaps. It is the Korean version of Google Maps. Don’t be intimidated by the Korean interface, as the search brings up English spellings. T-Money card – The handiest country-wide transportation card in the world! 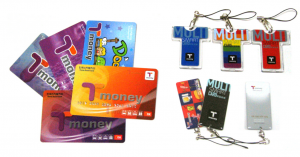 You can use T-Money anywhere in Korea on public transportation – subway, buses. I’ve seen taxis with the T-Money reader. You can find food and drink dispensers that accept T-Money as payment. You can buy and top them up at almost any convenience store (of which there are many, everywhere), and also at Metro stations. KakaoTalk – Used for messages and group planning more than Facebook or WhatsApp. Requires a mobile number for verification. Kakao is a strange phenomena, almost like the Pokemon of Korea, but bigger. Stores, apps, maps, groups, messaging, and a cartoon series. Seoul Metro app by Mapway – It’s simple, but shows all the Metro stations. There are many subway lines that you’ll need to change over to reach your destination, and this has been quite hand. Particularly when plans change and you need to make decisions on the fly, without wifi. Papago – Translation app. With authentic Korean voices, a handy feature is the photo translator. Take a photo of what you want to read, then select the Korean characters, like an eraser. It translates quickly and (usually) accurately. Hostel bunk beds are regularly available from W10,000 per night (roughly $10). Budget hotels and guesthouses offer rooms in the W25,000-30,000 per night range, and more boutique places from W50,000+. Prices increase across the board a little on Fridays, and more on Saturdays. I use booking.com for many of my bookings, and agoda.com – check their excellent offers for Seoul hotels and guesthouses here. Airbnb was typically overpriced, with many suspect listings at the budget range. Hostelworld provides a few options, without the same special deals. You’ll notice swaths of glimmering motels clustered together. These specifically cater to couples, most of whom otherwise live at home with their parents. You can find great deals at some of these places, but they’re still in the same price range. If you like a particular place, book your next stay directly with them. You might save money, and they earn more without commission fees they pay. Most are small businesses on a tight budget and this helps them out. 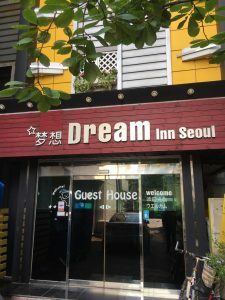 My top recommendations in Seoul: Dream Inn, Dustin Guesthouse Hongdae, Mr. Kim’s Guesthouse Hongdae, Hotel9 in Dongdaemun, Mamas and Papas Guesthouse Hongdae. 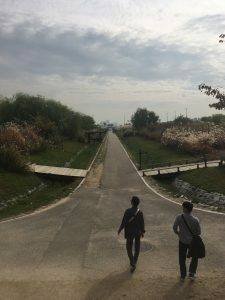 For those interested in camping… While Korea is camping-friendly, Seoul is not as easy. There are no beaches and limited river fronts. There are pre-designated camping sites that are a little expensive, but the fun and freedom is in free camping. For tasty, budget food, benefit from the multitude of highly convenient convenience stores, such as GS25, CVS, and 7/11. Here you will find ready-to-eat noodles and burgers, heated up using complimentary boiling water or microwaves. Some stores feature cosy, clean dining areas, usually close to fast wifi. W1,200-2,500 will find you tasty, juicy burgers, and in the W900-1,500 range for delicious noodles and soups. Many stores offer chicken and corn dogs for cheap, and soju alcohol is readily available for around W1,500. Sushi is unexpectedly expensive, despite the vast amounts of seafood around the country. You will often encounter kimbap, which is like a sushi roll, with budget versions at every convenience store. If other food is to your liking, foreign dishes such as Indian, Pizza, Italian, Japanese, Thai and American, will run you in the W15-18K per plate range. We did find cheap, amazing Indian for around W9,000 a dish (Everest in Dongdaemun is highly recommended). Our favourite pizza chain is Pizza School, where you can buy delicious pizzas for as low as W5,900. There are kebabs, mostly in Itaewon and Hongdae. Loads and loads of coffee and desserts. Loads and loads. Korean BBQ is a mainstay of local cuisine. You select the cut of meat, and it is cooked at your table. You wrap it up with various lettuce, garlic, a delicious sauce, and other trimmings. Most BBQ costs from W12,000-17,000 per person, with elite options over W30-50K. The astute budget traveler will scour restaurant signs until finding one of the many great Korean BBQ deals that exist. We’ve eaten for as low as W5,900 a head, and never over W6-8K. Just look for it! 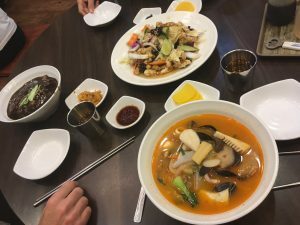 At most Korean restaurants, there are unlimited, self-serve side dishes, such as kimchi, pickled ginger and miso-like soups. These are particularly helpful for couples on budgets, where you order one meal (not BBQ – sorry!) and load up on side dishes. Street food is cheap, and found in most busier areas. These stalls are safe and their food delicious. Try the tteokbokki – little pasta-like dumplings in a red gravy. Bonus street tip – there are little fish-shaped desserts called “Bungeo-ppang“, filled with sweet red bean paste. While 4 for W1,000 is a good deal, see if you can find or beat our record, at 7 for W1,000. Delicious. PPang is spelled, 빵. It means bread. There is always music to be found and heard in Seoul, depending on your personal taste. Personally, as a long time underground music fan, I was disappointed in the overall quality of music and clubs I found. While you can drink alcohol on the street, and many people smoke cigarettes, anything harder is strictly prohibited. Those seeking the occasional joint, or something harder, are out of luck. They are extremely difficult, rare, and expensive, to find. Notably, you’re caught you’re in some deep trouble – jail, deportation, death row. It’s not worth it. It’s a bit of a paradox, as Seoul is one of the trippiest, most glittering cities I’ve been to. 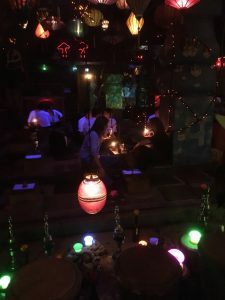 Rainbow Bar is a shisha lounge in Gangnam, and a cooler, faux-stoner vibe if you need it. There is a hell of a lot of hip hop. You will hear it blasted everywhere. There are some decent hip-hop clubs: Brown in Mapo, Sinkhole, in Hongdae, and Venue, in Itaewon. For electronic music heads, there are some techno and house parties, some that last well into the next morning. I didn’t find much to rave about in Seoul. The better parties cost upwards of W20,000-40,000 to enter, usually with a free drink. This was out of our budget for this trip, and we made our own party wherever we were. 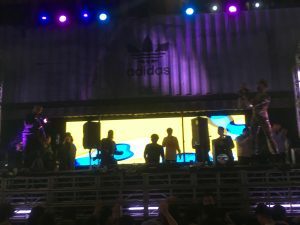 Learn more about the Seoul electronic music scene and check the Seoul MeetUp group for dance music enthusiasts. 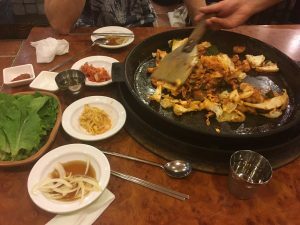 While there was a KoreaBurn as recently as a couple of years back, there is an unresponsive Korean burner community. There are a few blues and jazz bars, some classical music. Bar owners are exceptionally friendly. Despite not finding much music or entertainment I like, almost every night out in Seoul has been a lot of fun. Be prepared for the rage of K-Pop, and the same songs, and their clones, everywhere. 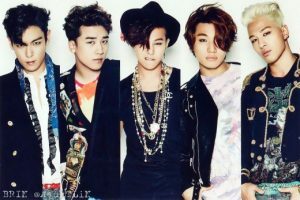 K-Pop is a serious thing in Korea, with millions of adoring fans. There is much pressure to be a star here. That’s not to say the music is anything special, albeit catchy. If you want a quick sample of multiple artists at once, walk through the main strip of Hondae. There is row after row of live singers and boy band dancers, performing to adoring crowds. You will find “7080” type music lounges, where you can croon your favourite hits from the 70s and 80s. Or “8090s”, which are similar; different era. Karaoke is huge. There is no shortage of stunning places to visit in Seoul. Bukhansan National Park – one of 22 national parks in Korea – occupies the north of the city, easily accessible by Metro. Gyeongbokgung Palace headlines an impressive list of palaces, temples and ancient buildings. 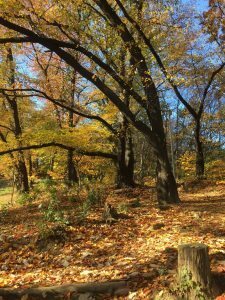 There are plenty of parks and hills around the city to escape traffic. It’s particularly beautiful in Autumn to enjoy the colourful leaves. Seoul Tower is worth a visit to enjoy the horizon of the city. There are several amusement parks, countless shopping areas and traditional markets, and a lot of high tech places. The Dongdaemun Cultural Center is an interesting visit, in a massive, futuristic building shaped like a giant UFO. As an old Buddhist-based country, Korea is a peaceful and safe place to visit. Alongside Buddhism is Confucianism and a rise in Christianity, with mosques to be found as well. It is a culture of respect, manners and social expectations. There is no violence in public, though domestic abuse is apparently a serious issue. You’ll learn plastic surgery is at one of the highest rates in the world, with most Korean women undertaking at least one session. 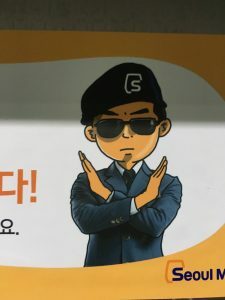 There is not a lot of English in Korea, but you find a way to get by. The Korean alphabet, Hangul, is surprisingly easy to learn. Many say it’s far easier than Chinese or Japanese. Modern Korean was born around 570 years ago by a King who wanted to create an easier language. Previously, Chinese was most prevalent in Korea. Each character represents several letters, that comprise a syllable. Once you know the alphabet it makes it a lot easier to recognise the Metro stop you need. Despite learning the alphabet and having a mild understanding of sounds, the challenges ahead are vocabulary, and difficult grammar. I recommend the language app, Drops, for quick visual learning of various words in Korean. Food, numbers, expressions, and so forth. There are four distinct seasons in Korea, over the calendar year. It’s around 0 degrees now, at the onset of winter. It will be below zero shortly. This cold season lasts from November through March. Not too long ago, there were frequently 18-28 degree days, particularly in the south. The cold snap came quickly, and snow feels imminent. Fortunately, places and transportation are very well heated. This concludes the Ultimate Seoul Digital Nomad Guide. We’ll keep adding resources to it and improve its offerings. If you run a mobile business, or are interested in visiting, Seoul is worth it. I’d recommend taking the opportunity to explore more of this beautiful country, but Seoul, the capital, is a great place to start. Wifi, cafes, public transport, delicious food and affordable accommodation – Seoul has it all. Enjoy this article? Want more detailed information on Seoul, South Korea? 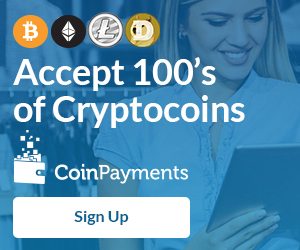 Send us your feedback here! 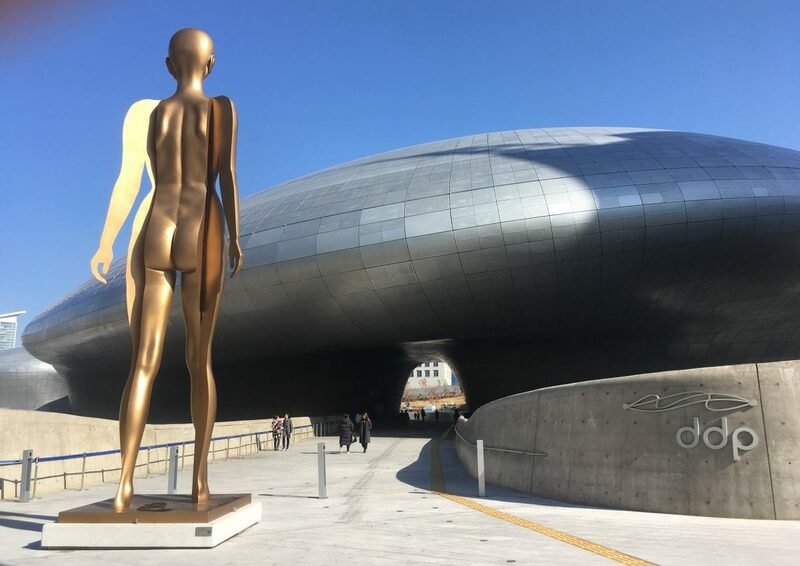 Check out the article on digital nomads in the Korean capital, from Seoul co-working space Hive Arena here..